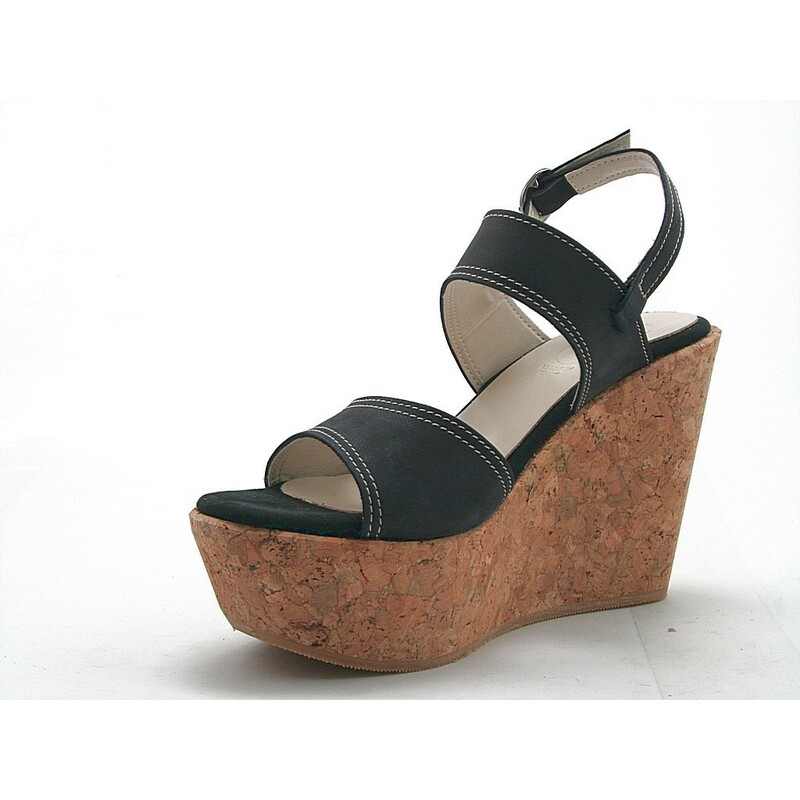 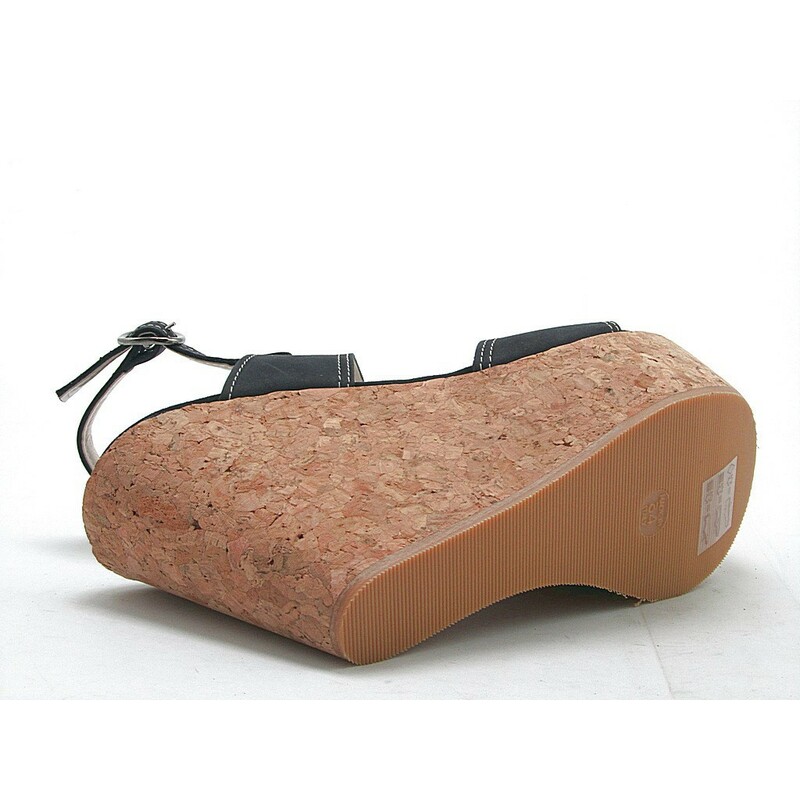 2 Bands sandal with cork wedge, 10 cm. 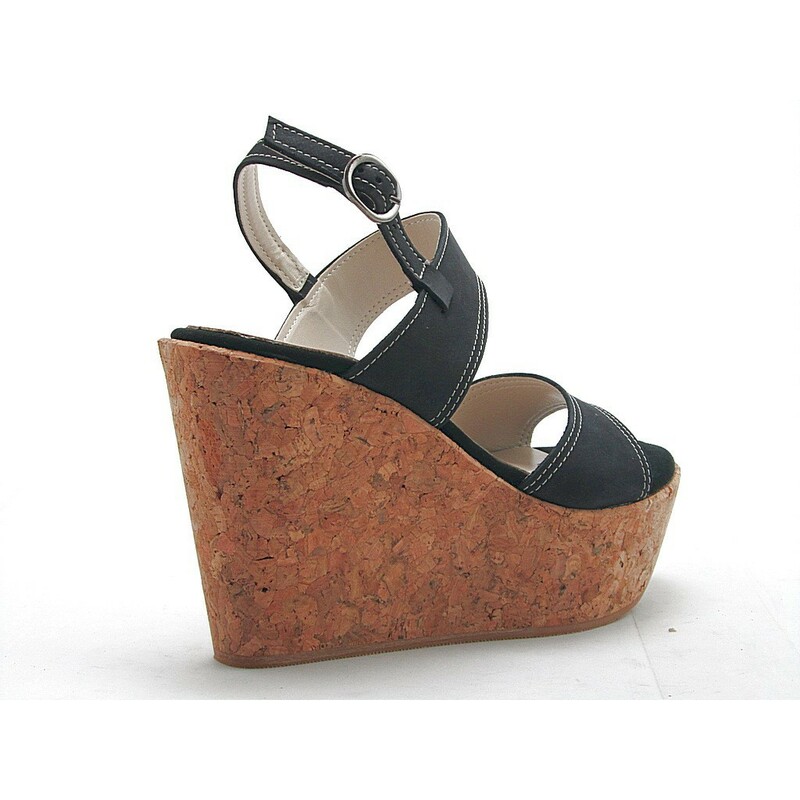 high wedge and 4 cm. 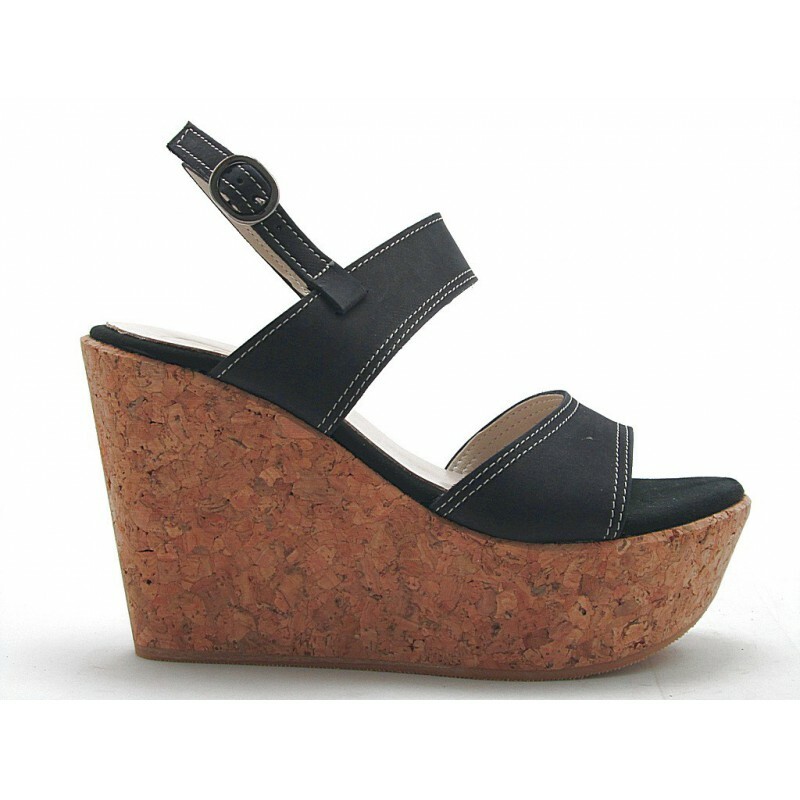 high platform, in black nabuk leather, rubber sole, leather lining.